I have always been drawn to water. Loved the ocean growing up in South Africa, love pools, waterfalls, swimming holes. 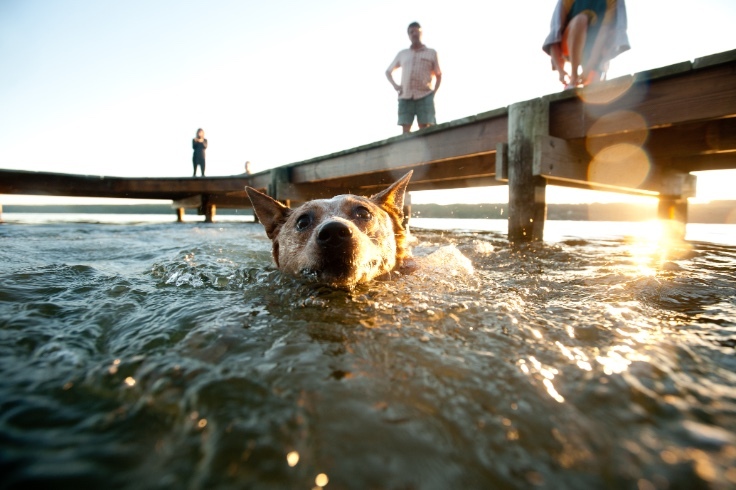 Always have to jump in no matter what the temperature is. So jumping ahead to my life today, a photographer. I was curious to see how a photoshoot would be underwater. My first go at it was for the Canisius Synchronized Swimming Team in 2012. I called and spoke to the coach, explained what I wanted to do and we set it up. All underwater gear was rented from Borrow Lenses, and It was an intense 4 hr shoot, physically draining, and mentally challenging, but the results were exactly what I was hoping for. In 2013 we shot our first Commercial shoot for Ripple Effect Auquatic Entertainment. This shoot was more above water but still working with the elements. A great experience. We also had an opportunity to do some commercial work for Red Newt Cellars out in Seneca Lake. This was full on underwater challenge in cold lake water, somewhat murky water. We hired Katherine Zelt as our female model, and Rachel & Jon Meyer for some couple stuff. The whole idea behind the shoot was to promote Red Newts Circle Riesling and Dry Riesling. We also brought along Justin Bondi of Justin Bondi Productions to shoot behind the scenes video, which turned out to be an amazing promo video for us and the winery. From the photoshoot, we designed posters, banners and marketing post cards to be used at trade shows, in store and at retail locations where their wine is distributed. Check out the Video created by Justin Bondi Productions. A little about that shoot. We used a Nikon D700 in an Aquatec housing with 2 off camera SB900 flashes Nikon loaned us. In housings that were submersed and weighted to sit on the bottom of the lake to light our subjects. Our biggest challege with this shoot was trying not to stir up the lake and keep the water as clear as possible. We spent 2 days in the Finger Lakes. Day 1 was testing and day 2 a full day of shooting. A huge thank you to Dave Whiting, Robyn Buyskes, Katherine Zelt, Rachel & Jon Meyer, Jessica Imbriano, Justin Bondi, Samantha Buyskes, Laura, Liz Dugan our stylist, and Trip the dog. We recently purchased a new home with a 1600 sqft detached studio, and an inground swimming pool, so excited. We have done a few test shoots in the pool and looking forward to getting some more done this year. From my experience with housing for cameras I ended up purchaisng an Ikelite housing and a Nikon D610 to use. The D610 has many options for tackling all kinds of lighting scenarios, daylight, low light, additonal off camera lighting and so. It also has video option so I can switch over while underwater to capture some video clips. Almost every function on the camera is adjustable from buttons, switches and dials on the housing. It truly is well built and ready for anything. 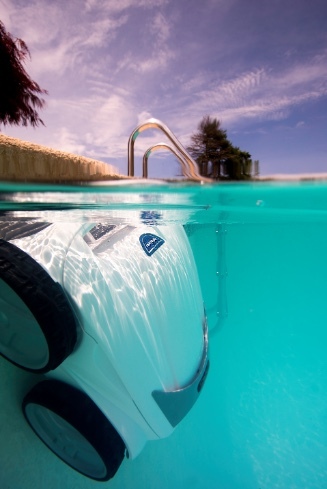 I took the opportunity to photograph our Polaris P945 pool vacuum as it did its job keeping our pool clean. So underwater photography can be for more than just people. Robyn & I were hired to photograph 2 separate weddings in gorgeous destinations this year. One in Mexico, Maya Riviera at the Iberostar Quetzal and one in Montego Bay, Jamaica at the Royalton White Sands. And of course I brought along the underwater gear for some unique opportunites. A huge thank you to Jody & TJ and Leah & Mike for the fun getaway. So far it has been an amazing experience to bring my photography talents and world underwater together and I can’t wait to keep shooting, while holding my breath.